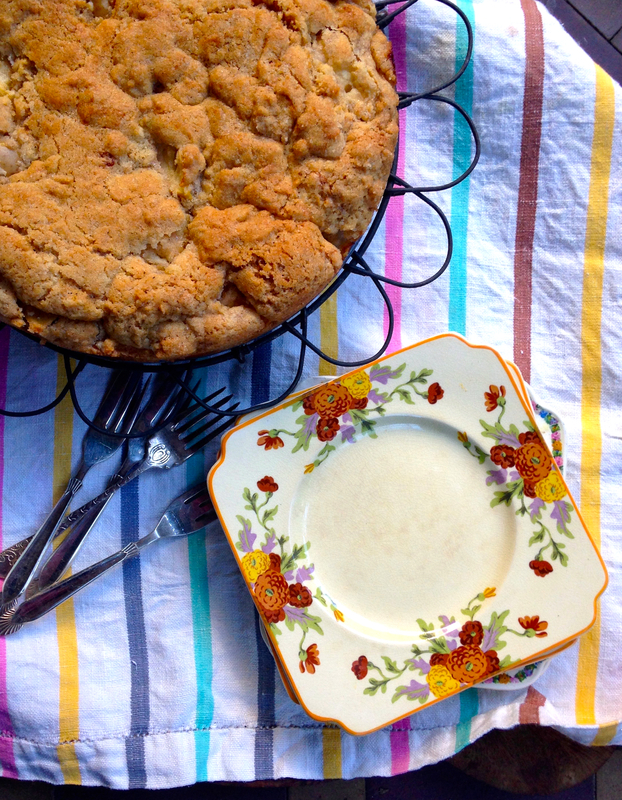 I’m not a huge apple cake fan, I find the whole idea of apple cake a little humdrum. When someone tells me they’ve made an apple cake my heart doesn’t automatically leap, I mean there’s a limit to how amazing an apple cake can be… right? That was what I thought until I tried this apple cake on the weekend and my entire attitude changed. Because this… cake… is… just… so… good. I first had this cake on Saturday at a friend’s craft afternoon tea. My friend Jenny is an amazing cake maker and she always has good cake at her place but there’s something about this cake that had me dreaming of an opportunity to make it. So I baked one the next day on Sunday to take to a friend’s place for desert and my friend texted me the next day for the recipe. It’s that kind of cake, like a chain letter, you make it and pass on the recipe. Now for the second time this week I’ve made this cake to take another friends house, it’s a very addictive cake. It literally takes ten minutes to bring it together with the basic of ingredients, flour, sugar, egg, melted butter and a little bit of cinnamon or spice mixed together. It’s so simple and there’s a mystery to why it is so good, but it may have something to do with the high ratio of apple to batter. It’s a very rustic looking cake with a bobbled top, a slightly caramelised, crunchy, chewy exterior and a soft almost custardy inside. 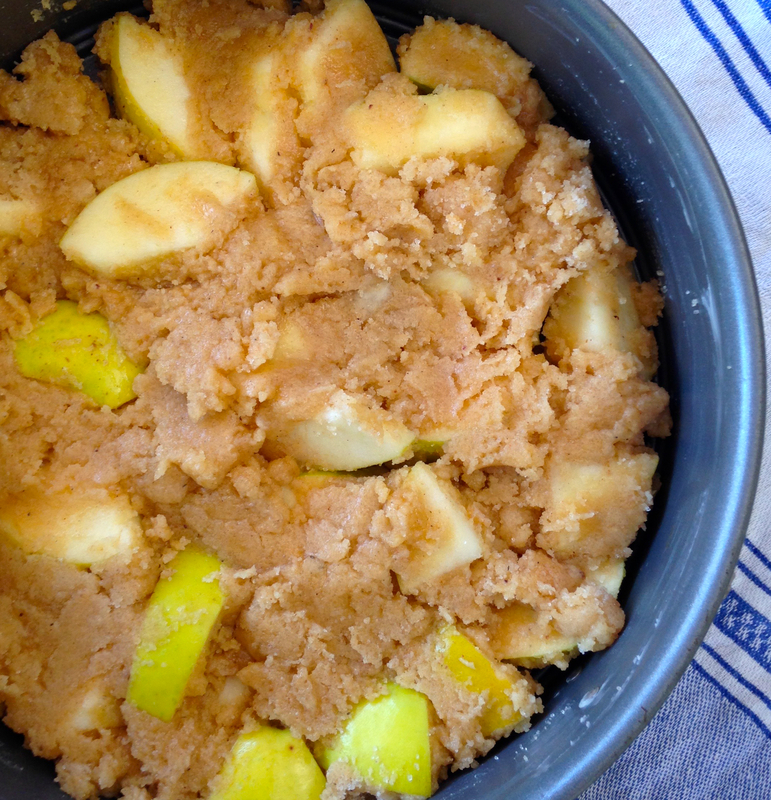 There are a lot of apple cake recipes out there but this would have to be the simplest and best. All you need is a couple of apples and store cupboard basics and you’re good to go, so don’t wait, make it now! Mix all the ingredients together until just mixed. The batter will look a bit grungy, lumpy and super rustic. Spread batter into prepared tin. Bake for 40-45 minutes. Cool in tin and remove sides from the tin to serve.